The Presidency was last night fending off blows over the controversial Executive Order 6, which imposes a travel ban on about 50 prominent citizens facing corruption and money laundering charges. The clarification came amid the growing row over the Executive Order which President Muhammadu Buhari ordered Attorney General of the Federation and Minister of Justice Abubakar Malami to implement to the letter. The Atiku Campaign Organisation joined the peoples Democratic Party (PDP) to castigate the action. The organisationn said the implementation of the Order could lead to capital flight and return the economy into recession. Lagos lawyer Femi Falana (SAN) advised the governmet to withdraw the Executive Order and allow the courts stop suspected looters from travelling. Some lawyers have argued that since the court has okayed the Order, a travel ban under it is not out of place. The Alliance for New Nigeian (ANN) described the Ordeer as “dictatorial”, adding that there are enough safeguards in the constitution to take care of corruption with the guarantee for freedom of movement for citizens. “These high profile cases we are talking about have been ongoing for between seven and 10 years with no end in sight. These case were mostly originated by administrations other than this one. “What is clear is that the access to these resources by the suspects has enabled them to be in a position to sometimes compromise investigation, prosecution and trial. In most of the cases, the courts are held in a helpless position by legal acrobatics paid for from corrupt enrichment by the suspects. “The new measures put in place should compel everyone involved to make for a speedy conclusion of these cases. If it is your money, you have it back. If it belongs to the public, it goes back to the treasury. “The question of the constitutionality of the restriction order is answered by the fact that a court of the land has given government a clean sheet. The Executive Order is legal and constitutional and therefore implementable. “One of the cardinal objectives of the government under our constitution is to fight corruption. Fighting corruption is a responsibility and obligation upon the government. On the list of the individuals affected by the ban, Shehu said: “I want to confirm to you that we have not issued any list and we are not doing so. 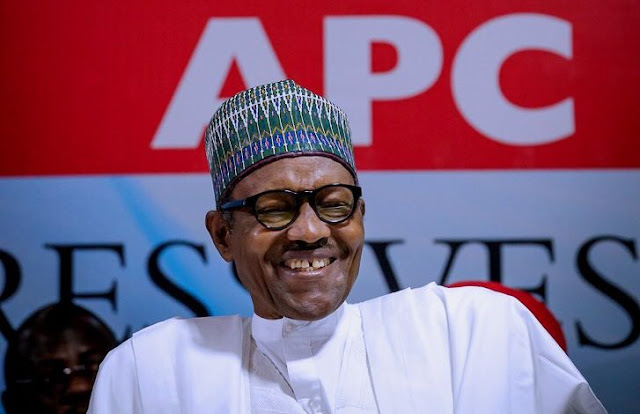 The Buhari Media Group (BMG) also rose in defence of the EO 6, saying it symbolises the efforts by the Presidency to re-invigorate the war against corruption through judicial process. BMG Chairman Niyi Akinsiju, in an interview last night, said: “I have seen a number of responses from the main opposition party. What exactly is the issue? Mr President has made pronunciation through Executive Order in emphasising the judicial process in limiting and containing corruption in Nigeria. The spirit of the Executive Order has a strong judicial intervention. “The powers to pronounce forfeiture of assets and to ban suspects under investigation from travelling outside the country are simply within the confine of the court. Banning these 50 individuals from travelling is actually in consonance with the judicial process that is already being undertaken by the relevant agencies of the government. Akinsiju explained that one of the tools to limit the manipulation of the judicial process is the Executive Order. “When your assets are forfeited and you cannot travel outside the country, you will opt for a speedy trial instead of delaying it,” he said. he Presidency was last night fending off blows over the controversial Executive Order 6, which imposes a travel ban on about 50 prominent citizens facing corruption and money laundering charges.